Maxie Heating & Cooling is proud to serve the West Deptford community! About West Deptford, NJ - Happy to be your hometown Heating & Air Conditioning Contractor! 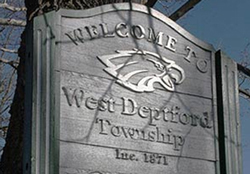 West Deptford is a township located along the Delaware River in New Jersey and is home to around 20,000 residents. Education services are provided by the West Deptford School District. West Deptford also hosts the Senior League Baseball Eastern Regional Tournament every year. There are over 30 parks in the area for kids, nature enthusiasts and recreationists to enjoy. The Red Bank Battlefield Park is a historical park featuring pieces of history from the Revolutionary War. The comfortable climate has warm to hot summers and cold winters making most months of the year enjoyable and suitable for outdoor recreational activities.